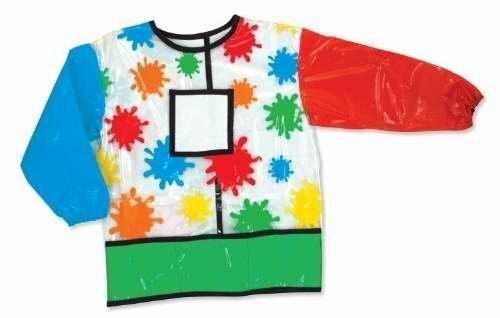 Creative kids can stay neat and clean in this durable art smock with long sleeves! Features a chest pocket to personalize, an easy-clean apron surface and roomy storage pockets. Long sleeves keep the artist completely clean! Adjustable straps mean one size fits all!